One great thing about being a geek is all of the cool apparel and accessories out there for us. But what does it actually mean to look like a geek? Unfortunately, not all of us can cosplay 24/7/365. But we can add little geeky hints here and there. Etsy is a great place to find geeky jewelry that is handmade and adorable, like this Luna Lovegood glasses ring. You can find an accessory for any fandom on there. If you’re going to incorporate geek into your look, you should definitely take from your fandoms. If you’re going to look geeky, it might as well be wearing what you love. This is why I have a bunch of Harry Potter shirts in my possession. Show off what you love with pride. You can find ridiculously awesome stuff at Jordandene, which is where the shirt above is from. Although it’s fun to layer on the geeky apparently, make sure you’re staying yourself. Don’t let your outfit cloud you and your personality, because I’m pretty sure you’re awesome enough as it is. If you want to dress head to toe in geeky attire, do it. If you just want to have little accents, do it. If you don’t want to do any of it, then don’t. A geek isn’t based on where geeky clothes or glasses or anything like that. It’s based on loving something and being passionate about it, not your outward appearance. You just do you! 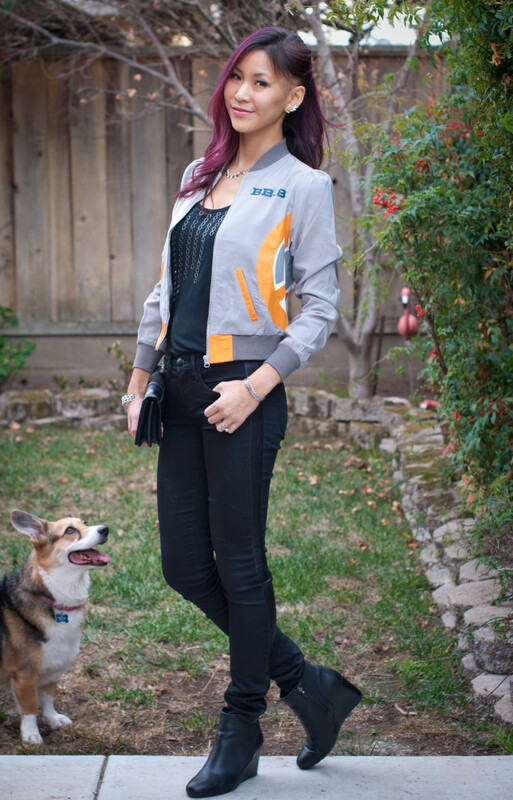 What is your favorite geeky clothing or accessory? Leave a comment letting me know! I love being able to incorporate my geekdom into everyday fashion, especially when in a professional environment. So many wonderful ideas! Ah! I love some of these…might have to go shopping. The subtle nerd stuff is def the best. My favourite way to wear my fandoms is definitely jewelry and accessories. I’m especially into geeky brooches at the moment, although earrings are a close second. Awesome post! I’ve incorporated it into my life. The best part of your post: do what you want! Nice! I am definitely into geeky leggings…but that doesn’t really cut it when it comes to work wear so I try to also use jewelry to let my inner nerd out when at the office. Agh! So many goodies I want! My favorite my be my Mighty Fine Star Wars leggings. They’re galactic and geeky and oh so comfortable. I try to keep my geeky fashion low-key by adding pieces instead of trying to blatantly scream I’m a nerd. I love to add necklaces or t-shirts and dresses that have smaller prints of geeky things that still look fashionable but shows I’m a nerd in subtle way. My favorite geeky apparel is a storm trooper scarf. I wear it all the time, people usually have to look pretty closely to even tell it has storm troopers on it. I’m usually overtly geeky in all my Utinni Bikini dresses. I pretty much live in them! !